The rich have many things we don’t: palatial mansions, yachts, private jets, fancy cars… the list goes on. Now it seems that those with serious dough, and with a penchant for adventure, can even have their very own submarines, for luxurious deep-sea exploration. Talk about unfair! 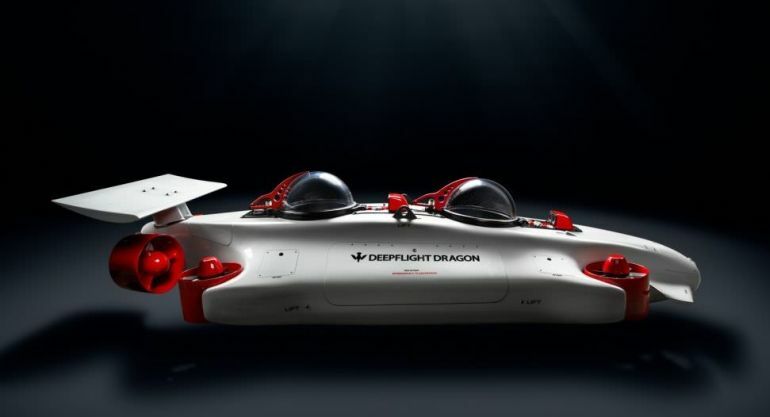 At the ongoing Monaco Yacht Show, Graham Hawkes-founded DeepFlight has unveiled its latest deluxe personal submarine, known as “Dragon”. Thanks to its lightweight and simple design, it can easily be carried on-board a standard-sized yacht. What is more, it can be maneuvered with very little training. The DeepFlight Dragon came about because I was at a conference for electric aircraft and everyone was enamored with the idea of building a full-sized drone that people could fly easily. It suddenly occurred to me that I could do that underwater, now, and I’d better do it pretty quickly because if I didn’t do it, someone else would. So we put patents in, and the result is the DeepFlight Dragon. 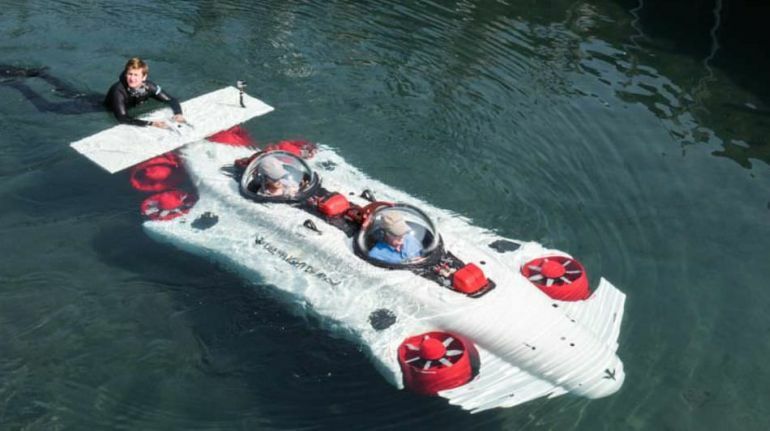 This electric engine-powered craft, for two, is capable of reaching depths of up to 400 ft below the water surface. Weighing around 1,800 kg, this 5 m-long submarine looks more like a swanky sports car than the formidable military subs we are all too familiar with. It can fit on a normal-sized yacht, and is quite easy to launch without the need for any hefty machinery. The design’s fixed positive buoyancy ensures that the Dragon can safely float back to the surface, at the end of an underwater voyage. The big leap forward with our newest model, the Dragon, is its ease of operation. Whether you are a superyacht owner or a resort guest, there is no need for a specially trained pilot. You can take the controls and explore under the waves. After all, you don’t hand the keys to your Ferrari over to your chauffeur! 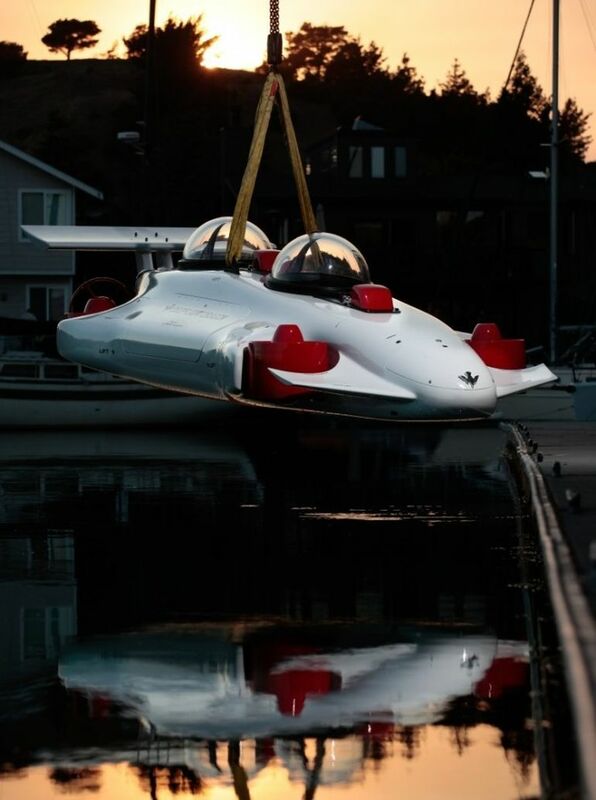 Priced at nearly $1.5 million, the Dragon is obviously not for everybody The company is also looking to make the submarine available to high-end hotels and resorts. According to the developers, it can also be used to conduct targeted underwater research.